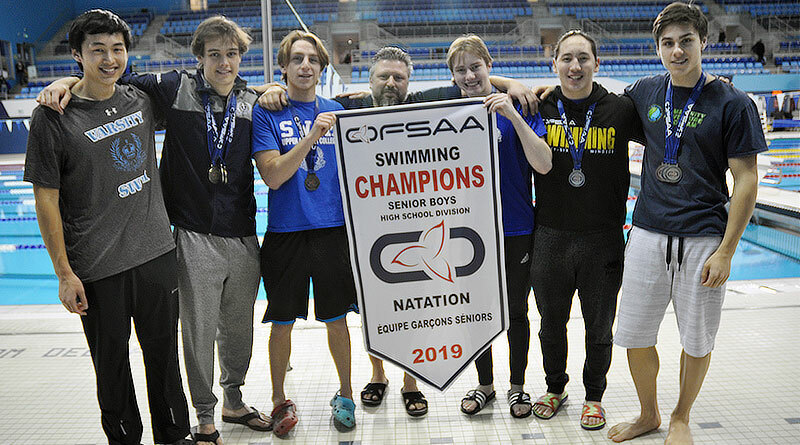 PHOTO COURTESY VLAD ROYTBERG SENIORS RULE: The Senior boys' swim team, Aaron Leung, left, James Kingsmill, Matt Karmitz, coach Vlad Roytberg, Will Blair, Andrew Downing and John Babits, won gold at OFSAA this year. Hitting gold for both junior and seniors boys team points, gold and silver in two team medleys, and one gold, two silvers and two bronze in individual races. It was a feat that head coach Vlad Roytberg said was a testament to the team’s character. He’s worked with most of the swimmer since they were in Grade 5. “I describe OFSAA to my kids as icing on the cake,” he said. UCC swept through the boys’ categories at CISAA, but one team, which included junior Nick De Chazal, was disqualified from one of the medleys for being two-hundredths of a second off the threshold. It wasn’t going to hold them back, though, as De Chazal and the team were placed in another medley and qualified for OFSAA through that. PHOTO COURTESY VLAD ROYTBERGCOMEBACK KIDS: The junior team, Henry Wang, left, Aaren Fung, Justin Lee, Michael Wilson and Nick De Chazal, overcame a CISAA disqualification to qualify for OFSAA. That led to a gold in the junior category. De Chazal earned a silver and bronze in the 100-meter freestyle and the 50-meter backstroke respectively, on top of the silver in the 200-meter freestyle relay with teammates Jack Fejer, Aaren Fung and Michael Wilson. 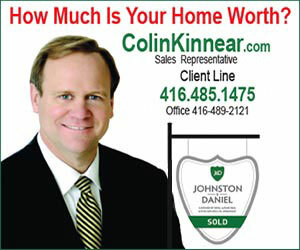 For the senior portion of the team, James Kingsmill, who earned three individual golds at CISAA, OFSAA was just as fruitful. He took the podium three times as well. He earned a gold in the 100-meter individual medley, a silver in the 100-meter backstroke and a gold in the 200-meter medley relay with teammates John Babits, Matthew Karmitz and Benjamin Sun. Babits rounded out the individual medals with a bronze in the 50-meter freestyle. The only qualm the team had was that OFSAA was held in their own backyard at the Toronto Pan Am Sports Centre. 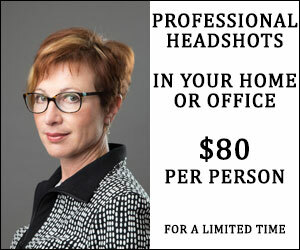 “The atmosphere was certainly different, but I think the closeness actually worked to our advantage,” De Chazal said. “The night before our team practised at the competition pool. This decision by our coach helped us focus on the event and prepared us for the upcoming meet. Unfortunately for Roytberg, this year’s graduating class will take 25 senior members from the pool, accounting for one-third of the team. Most of them have been under his tutelage since they were 10. But the graduating junior grades are providing a good crop to work with.